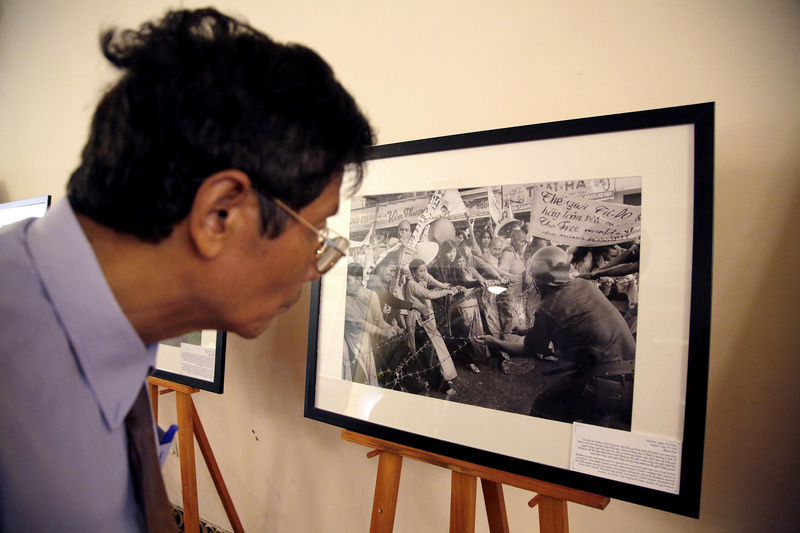 Longtime Associated Press correspondent Peter Arnett remembered that journalists were “rarely unwelcomed” by the American soldiers fighting the Vietnam War. After all, AP stories were being clipped from hometown newspapers and mailed by family members to the men in the field. 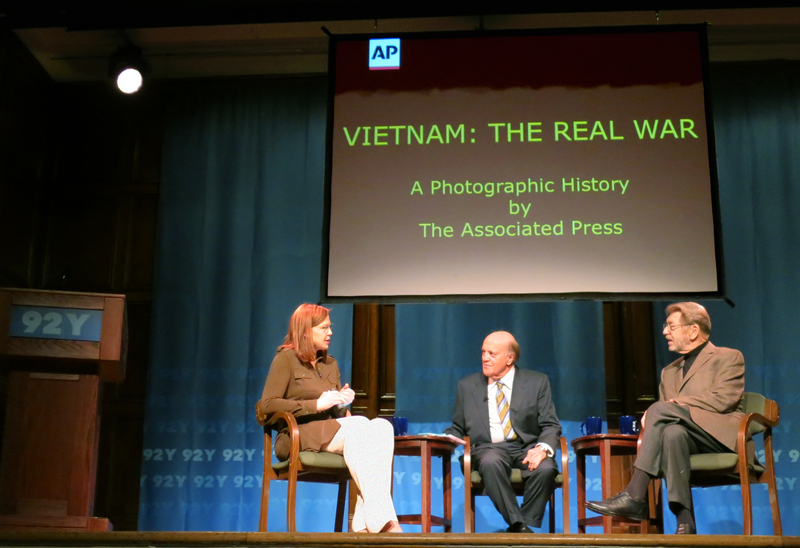 Arnett, who won a Pulitzer Prize for his war reporting, was onstage Thursday evening at New York’s 92d Street Y in a discussion of the stories and images gathered in “Vietnam: The Real War,” the AP photographic history published in October by Abrams Books. Arnett was joined by veteran journalist and author Pete Hamill, who reported from Vietnam as a columnist for the New York Post and wrote the book’s evocative introduction, and AP intelligence writer Kimberly Dozier, who served as moderator and drew on her own experiences working in combat zones. 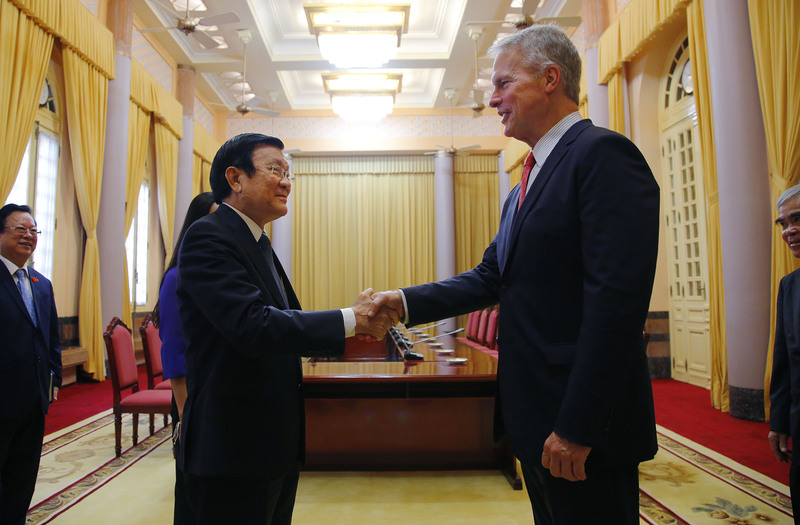 “The photos became the verifying part of … what was in the story,” Hamill said. 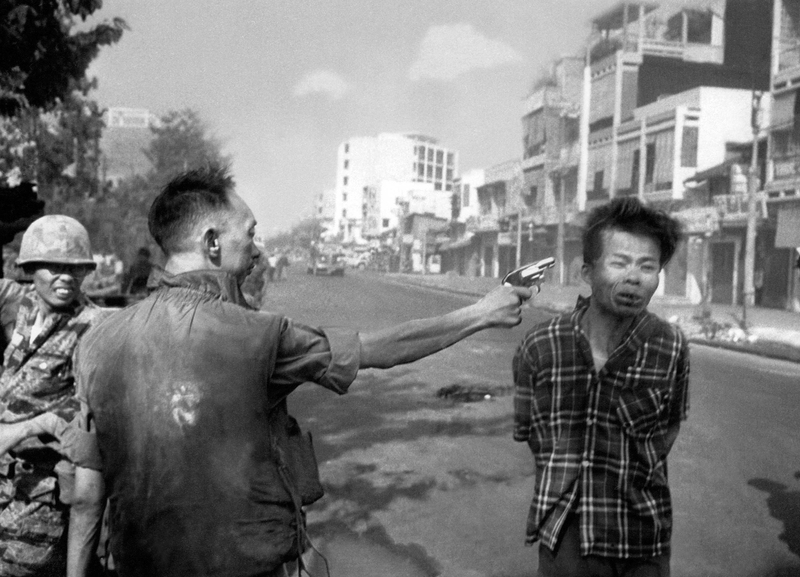 So much so, according to Arnett, that he once went to an antiwar rally in Central Park with AP colleague Horst Faas and they saw that some of Faas’ stark images from Vietnam had been enlarged for display by the protesters. Dozier mentioned the challenges she’s had with the Pentagon’s practice of embedding reporters with combat troops, whereas in Vietnam a journalist could simply hop on a military helicopter to the front. A video of Thursday’s program will be available on the 92d Street Y’s website sometime in the next few weeks. 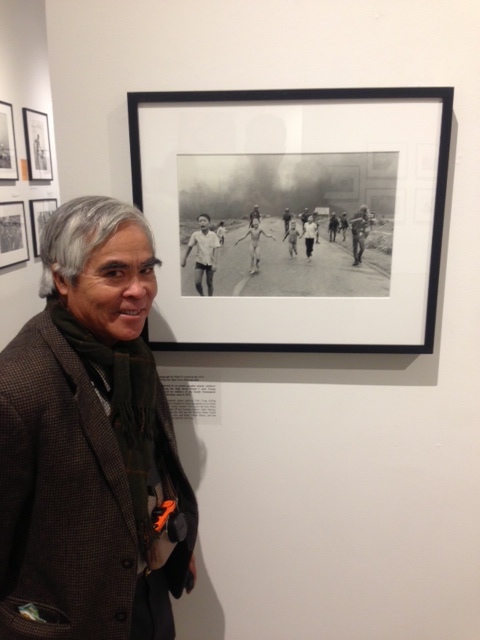 AP photographer Nick Ut stands near his iconic picture of a 9-year-old running from a napalm attack. 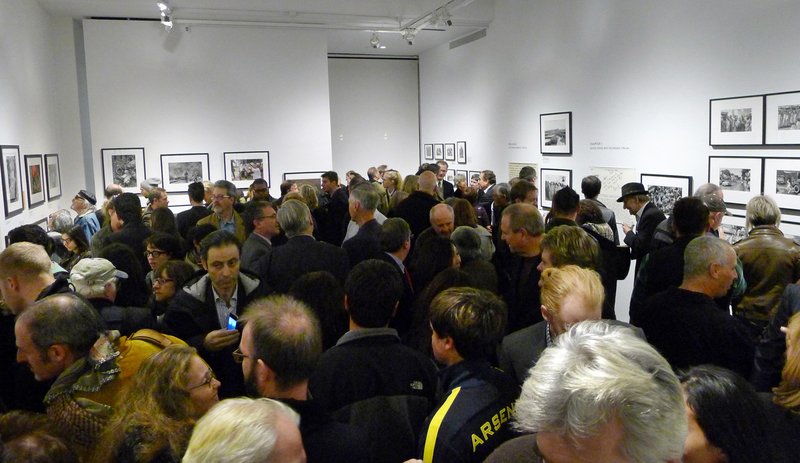 Crowds of journalists, photographers, distinguished guests and members of the public packed into the Steven Kasher Gallery in New York Thursday night to view iconic and rarely seen images of the Vietnam War taken by Associated Press photographers. 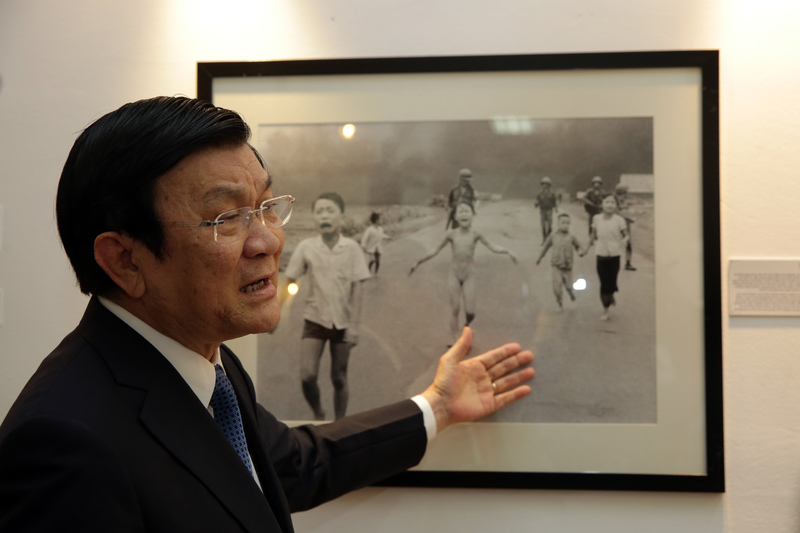 The exhibit showcases some of the nearly 300 images included in a new photo history book, “Vietnam: The Real War” (Abrams; Oct. 1, 2013; 304 pages; 300 photographs; US $40.00/CAN $45.00/UK £25). 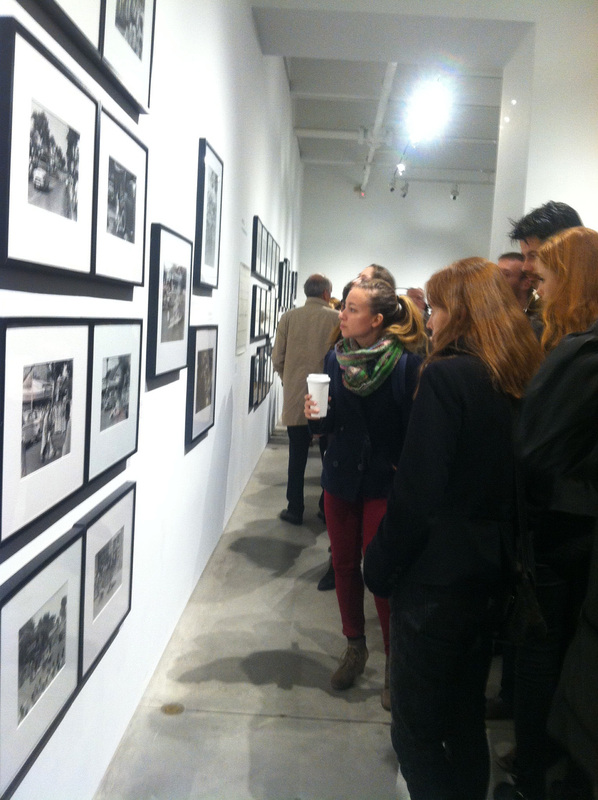 Visitors view the AP exhibit at the Steven Kasher Gallery. 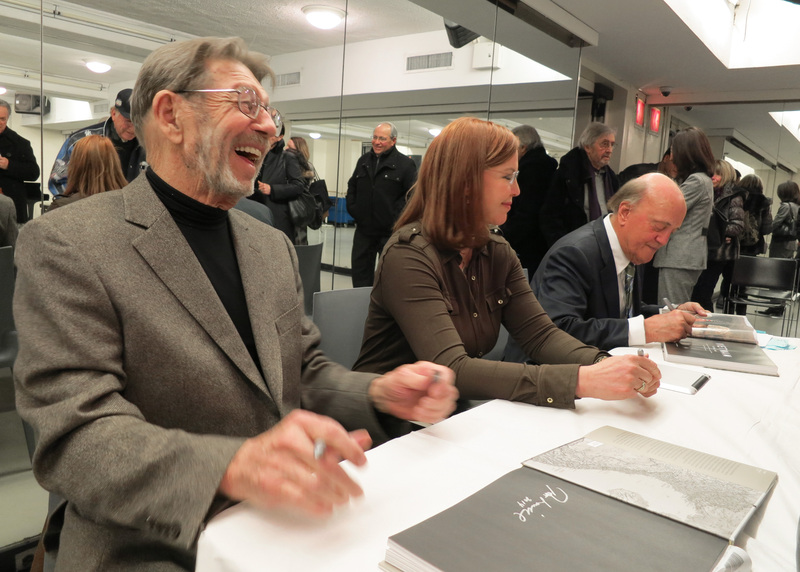 Writer Pete Hamill, who penned the book’s evocative introduction, and Pulitzer Prize-winning photographer Nick Ut, whose work is featured prominently in the book, were on hand to sign books at the reception. 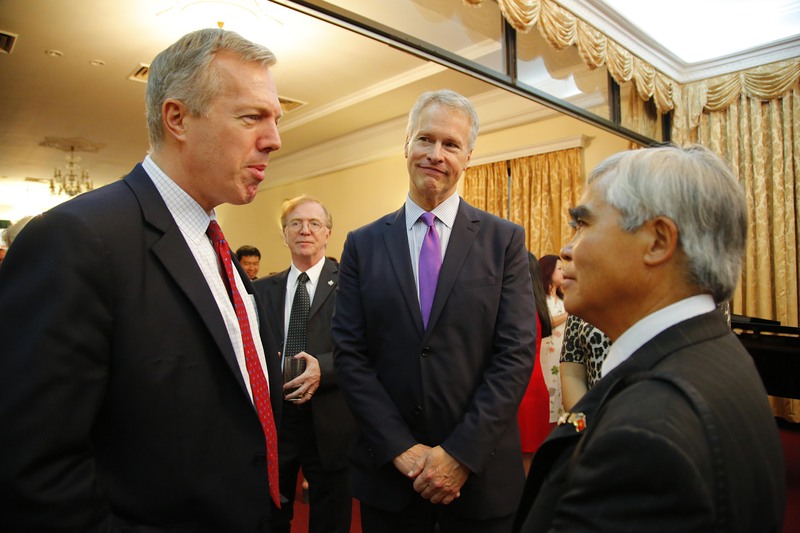 AP President and CEO Gary Pruitt, Tom Curley, former chief executive at AP, and Chairman of the Board Mary Junck were also in attendance. 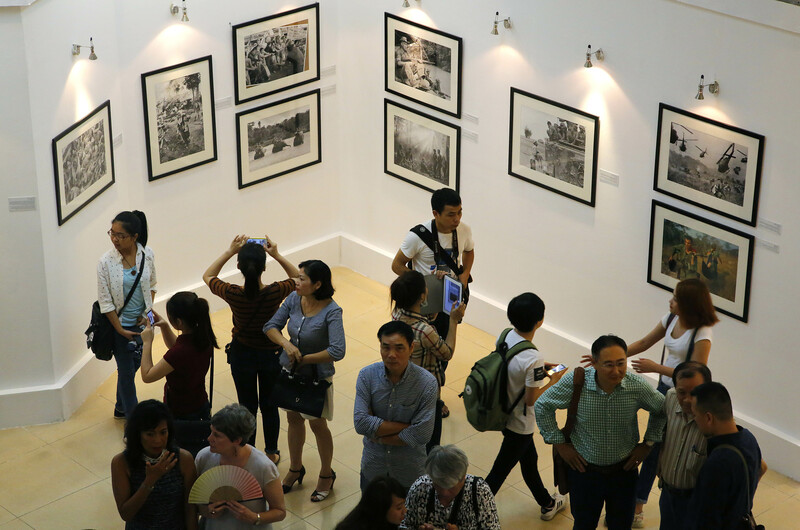 The exhibit runs through Nov. 30. 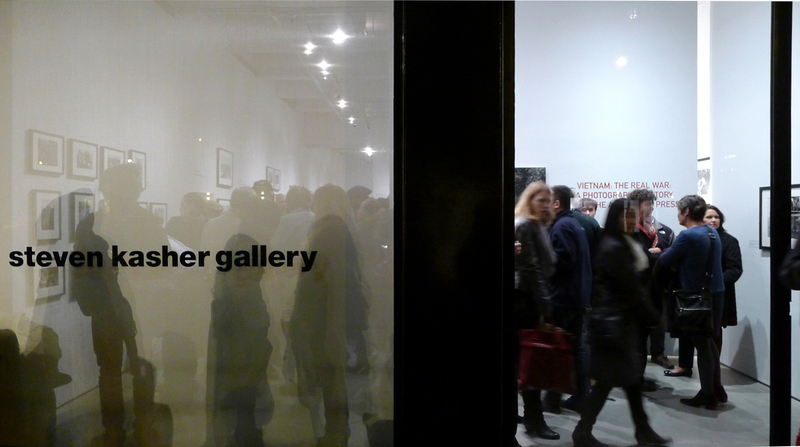 The gallery, located at 521 W. 23rd St. in New York, is open Tuesday to Saturday, 11 a.m. to 6 p.m.
AP is hosting other book-related events in Washington, D.C., at the Newseum on Saturday, Oct. 26, and next month in San Francisco.